Diabetes affects the blood vessels throughout the body, particularly in the kidney and in the eye. Diabetic retinopathy is the name we give to diabetes’ adverse affects on the blood vessels in the eye. 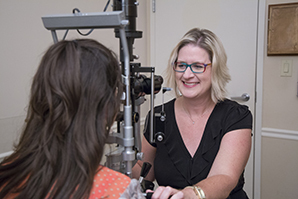 When diabetes affects the ocular blood vessels, they may develop leaks or contribute to the formation of scar tissue; these problems reduce the retina’s ability to detect and transmit images. In the United States, diabetic retinopathy is the leading cause of blindness among adults. Risk of developing diabetic retinopathy increases over time. An adult who has had diabetes for 15 years or longer stands an 80% chance of experiencing damage to retinal blood vessels. 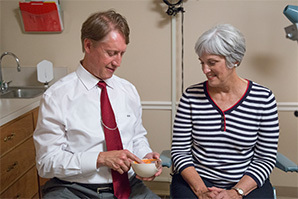 Don’t wait for symptoms—if left untreated, severe vision loss can occur. There are usually no symptoms in the early stages of diabetic retinopathy. Vision may not change until the disease becomes severe. 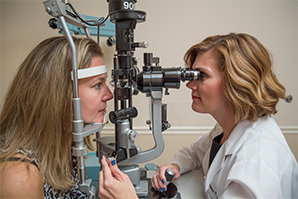 An eye exam is often the only way to diagnose changes in the vessels of your eyes. This is why regular examinations for people with diabetes are extremely important. Your eye doctor may perform a test called fluorescein angiography. During the test, a harmless orange-red dye called Fluorescein will be injected into a vein in your arm. 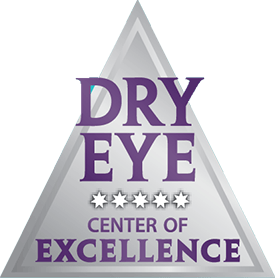 The dye will travel through your body to the blood vessels in your retina. 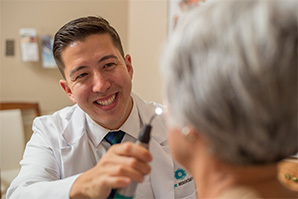 Your doctor will use a special camera with a green filter to flash a blue light into your eye and take multiple photographs. These photos will be analyzed to identify any damage to the lining of the retina or atypical new blood vessels. How can a diabetic reduce risk of developing diabetic retinopathy? I want to know how diabetic retinopathy is treated.